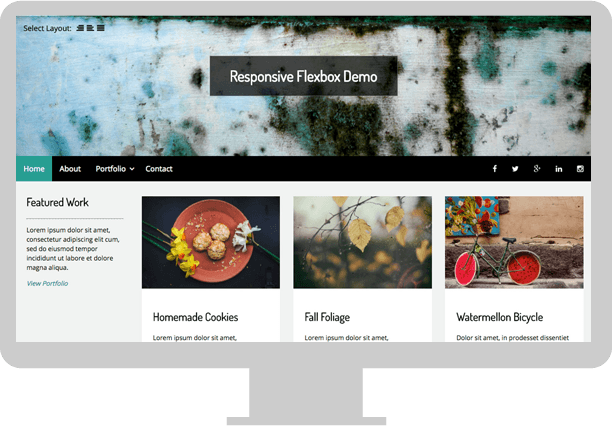 The flexbox demo is a single page, responsive demo that utilizes the new CSS3 flexbox or flexible box layout. 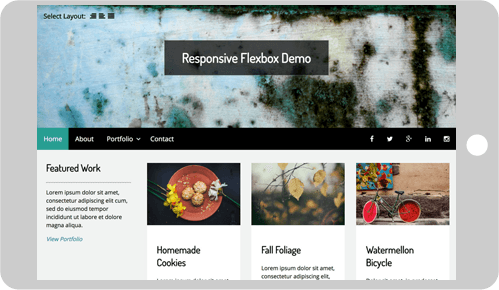 Flexbox makes it much easier to accomplish certain tasks such as centering of elements (both horizontally and vertically), the expansion and contraction of elements to fill available space, and more. 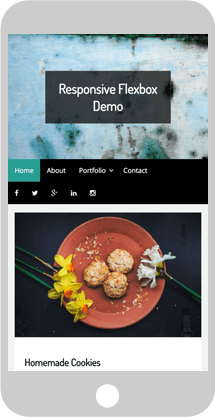 With the help of jQuery, this demo also allows you to change the layout to have the sidebar showing up on the left, the right, or not at all.